Most practice owners would agree that a website is an important part of your practice marketing. What most owners don’t usually realise is just how important it can be and the work involved in doing it properly. 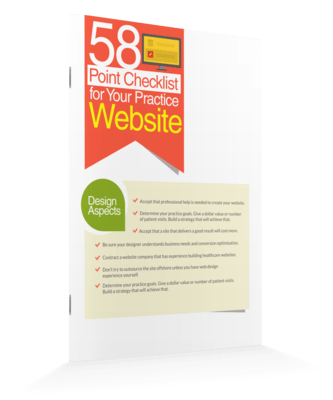 Regardless of whether you are a chiropractor, dentist, GP, osteopath, physiotherapist or other healthcare professional, in this guide we’ll be discussing the elements you will need to consider when building your practice website. In this article I am going to be referring to Google and the other search engines, like Bing and Yahoo, a lot. You may be wondering why we spend so much time talking about these. The reason is because they are the main way people will find your website. 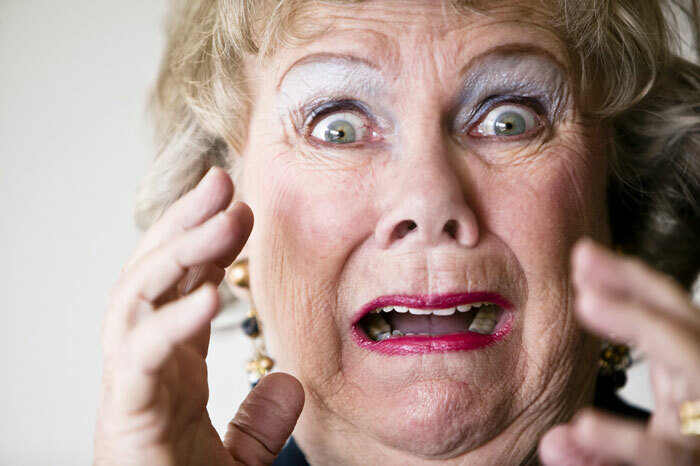 When people find your website you then have a chance to convert them to a patient. So basically: search engine exposure = more new patients. Google and the other search engines depend on people coming to their sites. If people don’t come their site, they will no longer have a viable business. As a result their highest priority, is to deliver high quality relevant content to their users. Bear this in mind; it will underlie many of the points I’ll bring up in this article. Let’s get into the points. 1. You Built It Yourself. You know how irritating is when a patient comes in and tells you that they tried to lie on a towel and crack their back themselves. Or they looked up how to do it on YouTube. Providing your service takes years of university education. Likewise building an effective website is a specific skill. A poorly built website can cost you tens of thousands of dollars in lost revenue. Leave it to the professionals for the reasons outlined below. If you don’t fully understand what your goals for your practice are, you can’t build a digital strategy to help you fulfil those goals. That’s why we always start with a strategy session for our clients to determine what their goals are. If you want to grow your practice to over a million dollars in revenue, your needs will be very different for someone aiming for $150,000. So take your time up front to determine your goals. If you need some help drop us a line: we’ll be glad to help. How much can a good website make for your practice? First of all you need to know what a new patient is worth to your practice. The easiest way to do this is to calculate your Patient Visit Average and multiply it by your Average Visit Value. (See here for details on how to calculate these stats). For example, if new patient comes in for 10 visits on average, and on average you charge $50 a visit you will make $500 per new patient (on average). If you only see someone for 5 visits on average you will make $250, etc. So a good website can bring in 5-10 new patients a month. Some people are even seeing 30 new patients a month from their digital marketing! That is thousands of dollars a month. On the other hand, when someone quoted you $5,000 to build your website, you may have freaked out and gone for the guy quoting $299. Consequently you got a site that didn’t implement even a fraction of the things we are discussing here. The result, you have a site that never gets any visitors and if by some chance it should happen to, they will never convert to a patient. So rather than getting those 5 new patients, you get none. Instead your competitors get the thousands in revenue that could have been yours. The bottom line: good websites make you money and grow your practice; bad websites cost you money and lose you patients! Designers love great design, that’s why we employ them. Trouble is, they rarely now much about making your site the best it can be for ranking well in the search engines and converting visitors into patients when they get to your site. The result? You get a beautiful site that no one ever finds and never converts. The solution? Employ a designer, but make sure they are part of a team that understands SEO and conversion optimisation. Keep them on a tight leash and don’t be afraid to offend their design sensibilities if they are compromising your business objectives. Healthcare businesses aren’t like normal businesses. Many marketing strategies can alienate potential patients by seeming unprofessional. In some jurisdictions they can be illegal, risking your license to practice. Most website companies don’t understand these special considerations. Be sure to engage a website company that understands your profession and the limitations imposed by your Registration Board. The rise of outsourcing websites has made it possible to get many things done for a fraction of the price that of what it used to cost. Building your website is one of the things that can be done. The risk you run is that you don’t fully understand what you are asking for. Unscrupulous contractors can exploit this, leaving you with a website that fails to do what it needs to, and even if it appears to do what it should, the hidden flaws outlined in this article can be costing you dearly. Building a website is a specific skill set including coding, design, conversion optimisation, SEO and content writing. A working knowledge of all these is required to manage a web build project. If you don’t have these you’re asking to be taken for a ride by an overseas contractor against whom you’ll have no comeback. Writing content for a website is a specific skill set requiring knowledge of SEO as well as being a good writer. It might be tempting to think that only you can understand your practice and profession, but the reality is there are expert writers on healthcare topics that will deliver content that will work best on your site. The other 2 reasons not to attempt your own content are that you are busy and your time is worth money. You bill your time at least at $100 an hour, maybe even up to $1000 an hour. To work this out multiply the number of people you see an hour by the amount you charge per visit. I can almost guarantee you that it will be considerably more than it will cost you to contract a writer to produce the content for your site. From a cost point of view, it simply doesn’t make sense to try to do it yourself. You’re also busy. The reality is that it usually takes practitioners several months to produce the necessary content for their site. In the meantime your site is delayed and you lose the potential patients it could have brought you. Bottom line; get someone to do your content for you. There is no excuse for this one. Google offers free maps which are very easy to embed on your website. If you’re not sure how to do it, get someone to do it for you. Your phone number should be in the top section of your website. Don’t make users dig into your site to find them. From a conversion point of view, getting someone to call your practice is the primary objective of your website. Don’t make it difficult for people! Have a copy of this article on your computer to refer to when you need it. Just enter your name and email below and click Send My Copy. Your potential (and current patients) want to know when you’re open. Put your opening hours in the sidebar of your internal pages (below your address and contact details), and on your homepage. While you’re at it, mark them up with Schema.org tags so the search engines can read them. 11. Your Social Media Links Are At The Top Of Your Pages. How big is Facebook? Big right?! Do you think they need any help from you to get traffic to their site? Of course they don’t! You on the other hand are working hard to get every possible visitor to your site that you can. If they are on Facebook they won’t be learning more about how you can help them. They’ll be looking at cat pictures instead. Keep people on your site as much and for as long as you can. Don’t leak them to sites like Facebook. Same goes for Twitter, Google+ and other social media profiles. If you must include your social profiles put them at the bottom of the page in your footer. Those practice owners that make decisions, get back to their developers and generally keep their projects moving, reap the benefits by getting a patient generating website up faster. On the other hand we have had some projects drag out for 18 months because the owners never supplied the information we needed to deliver their project. Do yourself a favour and get back to your designers as fast as you can. It can be tempting to try to interfere with what your website company is doing when building your site. Not withstanding all the things I’ve mentioned in this article, just remember they are the professionals in this field. If they are telling you to put a certain element in a certain place they probably have a good reason for doing so. Trust their judgement – you’ll reap the benefits in the long run. One of the tenants of good marketing is that the more specific you can make the message you are delivering, the easier it is to match your audience and therefore the better your conversions will be. Spend some time thinking about your target audience. Think about their fears, their pains, frustrations and desires. Think about how you can reach them and the messages that will appeal most to them. Then build your site with them in mind and forget everyone else. Just as trying to make your site appeal to too many people will alienate them, if you’re site’s design is too cluttered then people will find it difficult to determine why they should stay. The result, they’ll hit the back button and be gone. Take some time to work out the main message that every page is trying to deliver and stick with that. Placing something “above the fold” is a term that is a hangover from the newspaper industry. Newspapers where folded in half and the content in the top of the front page was what caught the readers eye. As a result, newspaper editors learnt to put their most compelling and engaging headlines “above the fold” in an effort to get readers and sell papers. In web design, above the fold refers to the part of the screen that is visible when your web page first loads. You should ensure your most engaging and compelling headline is placed in this area. The biggest challenge in this is the vastly different screen sizes from a tiny mobile phone all the way to a 27-inch iMac. Underlining this is the fact that most people never scroll to the bottom of the page (only about 20% of visitors). However with some thought and careful design you can usually ensure your message gets delivered. WordPress is what is known as a Content Management System (CMS). This is a system that handles all your website content and displays it appropriately. Websites can be built using HTML and CSS (coding languages) but it makes editing content difficult and time consuming. A good CMS will make this process easy. Last time I checked, 22% of the world’s websites were built on WordPress. Correspondingly, finding someone to work on a WordPress website is easy and a lot cheaper than many other platforms. You’re not tied to one provider. Extending the site is easy due to the huge array of plugins available. I could go on but I won’t. Unless you’re building a specific ecommerce site or some other specialised platform your website should be built on WordPress. End of story. WordPress isn’t the only platform available for your website. Some of the more common other ones are Joomla and Drupal. Problem is that integrations are harder to find, the plugins to extend the site are rarer, and the developers to work on them are less common and more expensive. Unless there is a very good reason to use them, avoid these platforms. If your developer insists, find another developer. Many website companies love to tie you into their own custom Content Management System (website platform). They’ll tell you how easy it is to use, blah, blah, blah. Problem is once you sign up to them you are tied to them until you decide to rebuild your site. If they go bust, your site goes with it. If they fail to correct any security flaws your site can be hacked. You’re dependent on a small group of people to maintain the system, whereas WordPress has thousands of developers worldwide working on the code for it. Additionally, “easy to use” systems often also limit your ability to make the site load faster and rank well in the search engines. 20. You Don’t Have A Mobile Version Of Your Website. 60% of local business searches (hint: your clinic is considered a local business) start on a mobile phone. A lot of people then take action to call there and then. Ever looked at a desktop website on a mobile phone? Do you think those tiny little links and hard to read text are conducive to them choosing you over their competitors? Enough said. Okay so you’ve worked out you need a mobile version of your website. Great, you’re ahead of most of the game. But how easy is it to find your phone number? Are you going to make the person who wants to call you dig through your site to find your phone number. Heck no! Put a nice big button that says, “Call Me!” at the top of the page, right underneath your logo. And guess what, people will. Now everyone’s happy. Second most common interaction on a mobile phone with your site? Emailing your practice. Make it easy on people. Put an “Email Us” button underneath that “Call Us” one. Third most common action on a mobile? Getting directions to your clinic. They’re driving there, getting lost and they want to get straight to you. Put a “Find Us” button underneath that “Email Us” button. Have it open a Google map in another window. From there they can get directions and make the appointment on time. You’ve saved them from having a car accident from looking at a map and they’ll love you for that. Everybody wins. How long do you have to convince someone to stay on your website and dig deeper into your information? Would it shock you to know it can be as low as half a second? It’s called the blink test. If your visitor can’t work out why they should stick around in the time it takes to blink (0.5 to 5 seconds) they will be off. The way to combat this is through clearly visible, benefit orientated headlines. So, tell me, does “Welcome to Yourname Clinic” scream benefit to your visitor? Boredom more likely. Tell people up front in big bold letters how you can help them. People need to be led. In today’s attention deficient society if people can’t see a clear next step they often won’t take any step at all apart from hitting the back button. Your website needs clear calls to action. You need to tell visitors exactly what they need to do next to fix their problem. Call your office now, fill in this contact form, sign up for further information. Don’t leave it to chance – spell it out. It can be tempting to put every page your website has to offer in your navigation bar – after all, it’s all important right? Think about the things that most people what to know when they come to your site. Basically they all want to know whether you can help them. Once they have worked that out, they want to know what your treatment entails, how much it costs, where to find you and when you are open. Try to limit your navigation bar at the top of your site to 4-6 options at most and then maybe have some sub-menus underneath. Any more than that and you are going to overwhelm your visitor. Put things like privacy policies etc. in a menu in the footer of the page. Try a little exercise for me. Print your website out on paper. Get two different coloured highlighters. Every time you see the words we, I, us, and your practice or doctor’s names, use one of the highlighters to highlight that word. With the other highlighter mark every instance of you and your. Then count up the number of times you used each highlighter colour. If you’re like most practices, your website will have lots of us, we, I etc., and not much you and yours in it. Remember, your potential patients don’t give a stuff about your business, they want to know what you can do for them. So stop talking about you, and start talking about your patients and how you can help them. Use “you” and “your” in your text as much as possible. You have less than 5 seconds to convince someone to stay on your website. Are people going to want to wade through lots of tiny font to find the information they want? Heck no! Make the font big and easy to read. For most sites 16pt is the minimum with a line spacing of at least 1.3. Linking in with a site that is too cluttered, each website (except perhaps for your homepage) should have only one objective, and for most clinic websites that is getting the visitor to call your practice. Remove all other distractions and watch your conversion soar. Let me guess, you read a book that said you have to get people to sign up to your newsletter. Then you can market to them and convert them into patients. Hence the sad lonely form in your website’s sidebar or footer. Nice idea, thing is you have to give people a reason to sign up to your newsletter. You have to give them something in return. Something they value. People are bombarded with requests for their email address all the time. Without a valid reason for surrendering that valuable contact information they will just pass on your request. The answer is to give them that value. A free guide, a video on the top 10 tips for preventing back pain, whatever. Speak to your existing patients and ask them what they would value and make that. Give something of value and people will fall over themselves to give you their details. The main way people will find your website is via Google or another search engine. Google, in turn, has to work out which people they should show your site to. Want to show up for low back pain treatment in your area? Looking to get anxiety disorder patients? You need to make sure you have pages dedicated to those topics on your website. Don’t just lump it all together under one “What we treat” page. Think about it from a search engines point of view. Their robot will scan your site. Their software (not a person, software) will try to work out what your site is about. You give it a page with every condition listed. Your competitor gives it a page devoted solely to one condition, with images and lots of text. Which do you think it will judge as being more relevant to the searcher? Hands down to your competitor. These conditions pages should be at absolute minimum of 300 words long, preferably 500-700 words long, with images and maybe even a video. Longer content is generally seen as being more authoritative and therefore more valuable. Keywords are the terms that people type into a search engine. The search engine then checks it’s database and returns the web pages that it feels will answer the question (keywords) that the user has typed in. Interestingly, certain keywords get more searches than other ones. For example Melbourne chiropractor or Sydney physiotherapist may get more searches than chiropractor Melbourne or physiotherapist Sydney. It makes sense to know which keywords are being used to find your profession. Once you know those keywords you need to include them in your website content. How to use them exactly is beyond the scope of this article, but they need to be used in certain ways to get maximum benefit to your rankings. 33. You Don’t Have A Plan To Get Traffic To Your Website. This isn’t 1998 when there were only a handful of people with websites. With 571 websites created every minute of every day, just building a site and hoping people will find it isn’t a viable plan. There is a lot your web developer can do to make your site easier to rank in the search engines. This is known as “On-page SEO”. However when you build your clinic website you need to develop a traffic plan as to how you are going to get people to your website. There are a multitude of ways to do this from Search Engine Optimisation, paid traffic like Adwords or Facebook ads, podcasting etc. What is important is that you develop a plan and implement it. External links to your website help the search engines know what your website is about. Internal links within your site do as well. If you aren’t linking to relevant pages within your own site you’re missing out on that benefit. It can be tempting not to link to external sites from your content. After all you don’t want your visitors going to another website. The problem is, the search engines look at the sites you link to as an indicator of the quality of your site. Authority sites generally link to other authority sites, whereas spammy sites usually link to other spam sites. And small unimportant sites usually link to no one. Make your site seem important and link to 1-2 authority sites in the articles on your blog. Relevancy and currency is important. The more people are engaging with your site through things like Facebook and other social media, the more relevant your website seems to the search engines. In addition, every time your publish new content you give Google a reason to come back to your site. That makes your site seem more current. It is generally accepted that this will give your site a rankings boost. Many providers of practice marketing services provide “content” (like articles and other things to go on your website) for your website and claim that it will help your rankings in the search engines. The trouble is they write one article and put that same article on all their client’s sites. The result is that 200 websites all have the same article on them, your site being one of them. This is a bad idea. If you think about it from the search engines point of view, if they have 200 sites with exactly the same content on them, then chances are those sites aren’t delivering a high quality user experience. Bottom line – make sure all content on your site is original and posted on your site only. If your current content provider can’t provide that, it’s time to make a change. Analytics refers to the measuring of the visitors that come to your website. Google offers a free version that is more than adequate for most users. With analytics you can look and where people enter your site, where they leave, where they came from, how long they stay etc. Implementing analytics on your site does take some technical knowledge however without it you are flying blind. Make sure it is set up for your site. Once you have analytics in place, you or your marketing provider needs to know how to use it. Specifically, ensure you are using Goals to track the conversions on your site. It can give you the insights that will help you determine what’s working and what’s not in your marketing campaigns. You only have a limited budget for marketing your clinic. You want to know this internet marketing thing is generating a positive return on your investment. One of the beauties of using the internet to market your practice is the ability to track your return on investment. By setting up conversion goals and using tracking phone numbers you can know which channels are delivering a positive ROI, which ones need work and which ones to ditch. Trouble is it takes work to get all that set up and either the company which built your website didn’t have the expertise to put it in place, or you didn’t want to spend the extra money to get a provider who did. Either way you’re flying blind. Get conversion tracking in place and make marketing decisions based on data. Evidence based marketing – right! It’s easy to think your website is distinct from your offline ads like newspapers, newsletters and Yellow Pages. It’s not! Whenever you place an ad ensure your website is listed as well. That way people can get more information even when you are closed. That way when people visit that URL your analytics will show you exactly how many people visited because of that ad. That way you can know exactly how well your ads are performing. The time it takes for your website to load is an increasingly important thing. First and foremost, a fast loading website makes for a good user experience. In fact some stats show that up to 40% of visitors will abandon a page that takes more than 3 seconds to load and 1 second of increased load time decreases conversion on your site by 7%. Considering that 1 lost patient per month can cost you hundreds if not thousands in lost revenue, spending more on a fast server makes good sense. The other factor to consider is that Google has made it publicly known that website load speed affects search engine rankings. This is one of the few factors they have publicly confirmed so you can see how important they see it as being. What affects page load times? It can be many things, including a poorly optimised website, however the biggest factor is usually using shared hosting for your site. To increase revenue many hosting companies cram lots of sites on their servers. This can overload the server, drastically slowing your website down. For our clients we have a specific server with lots of capacity. Don’t skimp on yours. Schema.org markup is what is known as Structured data or Microformats. It is a way of marking up the content of your website specifically for search engines. Imagine this: Google’s software robot comes to your website. It scans the content and saves it to its database. It then tries to work out what your website is about. Being a machine, it has to take a best guess based on the relationships of the content, the headings you use, any links coming to your site etc. You can guess it would make a lot more sense to tell the search engines exactly what your site content is about. That is what Schema.org markup does. It is special code that tells the search engine software exactly which parts of the site are about your business. Things you can list include business name, branches of the business, address details, phone number, geographic location (useful for Google maps), email, website URL and opening hours. We have a free tool on our site that will let you create the code around your address details so you can insert it. Otherwise speak to our development team and we can update your site for you. Just like you should be marking up your business details with Schema.org notation, you should be marking up the details of your practitioners. In these days of online reviews, you want to be sure your listing is showing up for their details and not some dodgy review that a disgruntled patient left. Use our person markup tool or get our team to do it for you. Got information about the specific conditions you treat on your site? If not you should have. Mark that content up with Schema.org markup for medical conditions and tell the search engines your site is an authority for those terms. Here is our tool for medical condition markup or we can do it for you. Google’s Search Console (aka Webmaster Tools), is a place that you can register your website and get all sorts of information from Google about your site like your search engine rankings, keywords people are using to find you and any issues that Google sees your site having. It’s free and simple to setup. Just make sure you register it on the same Google account as your analytics and Google Places listing. When you register with Google’s Search Console, be sure to submit an xml sitemap. This helps Google index your site. If you’re using WordPress (and you should be) you can install a plugin called Yoast’s WordPress SEO that will create one for you. Just take that link and submit it to Google. In the Search Console you can specify whether your site’s domain name should show up as http://www.yourdomainname.com or http://yourdomainname.com (notice no www. on the second one). Make sure you set it to the version your site uses. Bing offers a Webmaster Tools service like Google. While Bing is a smaller player than Google, in conjunction with Yahoo it has about 30% of the search market. As a result it is worth submitting your site to. You’ll need a Microsoft account but once that is done it is relatively straightforward to setup. When you set up your Bing listing, be sure to use that same xml sitemap link to submit to Bing as well. You’re probably familiar with Google map results and Local Search results. The latter is the group of 3-7 businesses that show up in the search engines results for some local terms, eg. New York chiropractor, London physiotherapist. All things being equal, the practice that has claimed their Google places/My Business listing will show higher than the practice that hasn’t. It’s a bit of a pain, but make sure you claim yours. This is a newer thing on Bing, but just like Google, you should claim your listing here. It could be an easy win for new patients from your area. Some time ago, in an attempt to create another way to rank websites, Google created a thing called author rank. The idea being that you verified your identity via Google+ and linked that to your site. That idea appears to have been quietly dropped by Google, but they are still utilising an aspect of it known as publisher rank or verification. To implement it you need to have claimed your Google+ page for your business (part of claiming your business listing) and put your website URL in the relevant place on that listing. You then place a link to your Google+ page on your site with the tag rel=”publisher” attached to the link. This tells Google that your site is published by the company behind the Google listing. It’s probably not a huge thing these days, but in internet marketing everything you can do to confirm your legitimacy helps. Like any website platform, your site needs to be kept up to date. WordPress frequently is updated to correct any security vulnerabilities, and to improve it’s functions. Be sure to check in regularly and keep your system up to date. Just make sure you backup your site first. CMS platforms like WordPress use plugins to extend their functionality however if these aren’t kept up to date they can have security flaws. Be sure to check yours regularly and update if necessary. Just check they are compatible with the current version of your site and take a backup first. Unfortunately life on the Internet has its risks. Your website can be hacked. Your server could go up in a ball of flame (rare but theoretically possible). Your hosting company could go bust taking your site offline. There are any number of possible scenarios. Just like you should be backing up your computer, always make sure you have in place a mechanism to backup your website. Remember, one lost patient could cost more than a year’s worth of backup. When I’m speaking to practitioners, believe it or not, I still hear this being said. 20 years on and people still seem to think the internet isn’t here to stay. Strange huh? With Yellow Pages almost dead in the water and everyone from kids to grannies searching online for information it is time to embrace the internet as an essential part of your marketing. Your website forms the backbone of that online marketing. Make sure you get it right. We’ve covered a lot of stuff in this article, much of which through necessity is quite technical. As a practice owner your time is valuable. At your hourly rate it simply doesn’t make sense to implement your digital marketing strategy yourself. We specialise in creating you an online marketing solution that generates more new patients and helps you retain existing ones and reactivate dormant patients. One of our clients generated an additional $56,000 worth of new patients in 3 months. To learn how we can help you achieve your practice goals book a Strategic Focus Session by clicking here now. Why Should I Outsource My Online Marketing?